A Tension Headache or A Migraine? 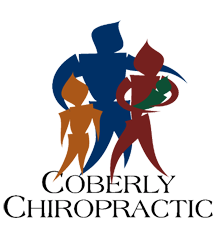 How to Tell the Difference – Coberly Chiropractic, Inc. Headaches are a real pain (insert eye-roll here). Many individuals suffer from them, and there are a variety of causes, symptoms, and treatment options. For some, they are a rare occurrence, while others deal with them on a weekly, or even daily, basis. They can range from minor inconveniences to full-fledged life changing afflictions. The first step in treating headaches is to understand the type of headache you are experiencing. 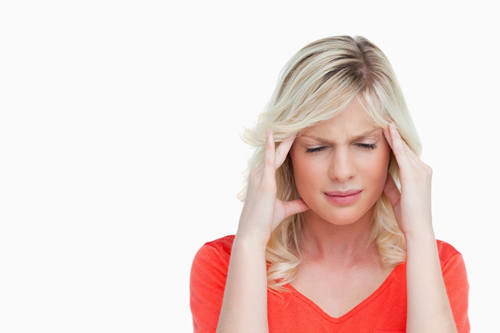 Some people think they have a migraine, when in fact, they are suffering from a tension headache. While tension headaches are more common, it’s estimated by the Migraine Research Foundation that 1 in 4 U.S. Households include someone with a migraine. Determining which headache being dealt with takes a bit of research. Individuals suffering from headaches need to ask themselves these questions to determine if they are having a migraine, or experiencing a tension headache. When in life did the headaches begin? According to the Mayo Clinic, migraines begin in adolescence or early adulthood. In contrast, tension headaches can start at any time in a person’s life. If an adult just began suffering from headaches, they are most likely tension headaches. Where does it hurt? Migraines typically occur on one side of the head. Tension headaches affect both sides of the head, and can produce a feeling of pressure at the forehead area. The location of the pain is a key indicator of the type of headache. What kind of pain is it? If it is a dull pain, a feeling of pressure, or tenderness around the scalp, it’s most likely a tension headache. If, on the other hand, the pain is a throbbing or pulsing pain, it could be a migraine. Both headaches can offer up severe pain, just different types. Are there any other symptoms? Migraines typically come with symptoms beyond head pain. Nausea, light and sound sensitivity, seeing bright flashing or sparkling lights, pins and needle sensations down one or both arms, or dizziness are common. Individuals who don’t experience any of these symptoms are most likely dealing with a tension headache. Can you function? While painful and frustrating, many people with a tension headache can still perform their jobs, drive, read, and deal with daily life. A migraine is a different story. Lying in a dark, quiet room with a sleep mask on until the headache passes is how most people handle migraines. If the headache is life-disrupting, it could very well be a migraine. Do normal pain killers work? Tension headaches can often be relieved by over-the-counter pain medications. Migraines don’t budge with these treatments. Once a migraine is in full force, the sufferer generally must ride it out. If a headache reacts well to a couple of non-prescription pain killers, it’s most likely a tension headache. The majority of individuals will unfortunately deal with a headache at one point in their lives. It’s important to note that tension headaches are much more common than migraines, but that doesn’t rule out the possibility of the headache being a migraine. The answers to the above questions combined together give insight as to the type of headache occurring, and how best to proactively handle the treatment. No matter the type of headache, if the pain is severe, or begins after a head injury, seek medical treatment immediately.